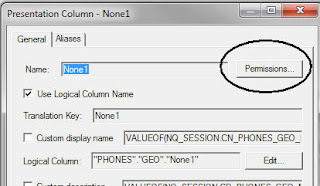 In this part I will talk about how to remove column from analysis with column selector or prompt. That means, selecting a column I don't want to present (or actually influence the analysis at all). Why do I want such a stupid thing? 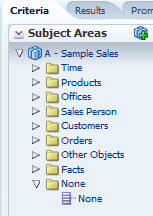 When working with dynamic columns, I want the ability to control the number of columns. 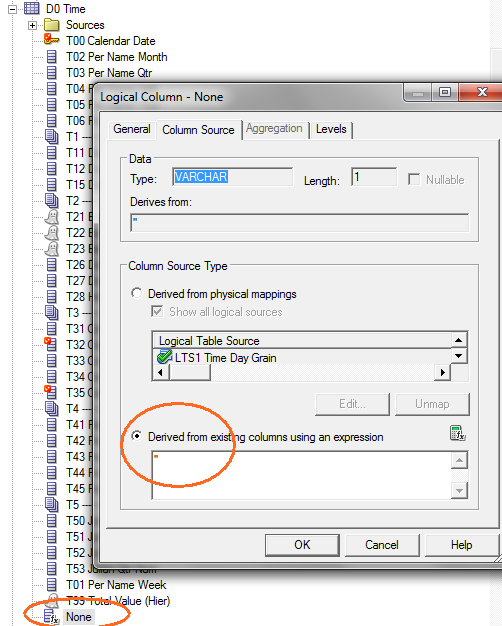 So if the user wants only 3 columns, out of possible 5, only 3 columns would appear in the analysis. The other 2 columns will not show. How do I add such "None" column? I will describe 2 options. First is created at the User Interface level, the second in RPD only and works better with session variables. Usually the second should be your default option and it is the one to be used in the next post. I add a column in the repository with empty value and default this column to be hidden, system wide. Now I can use the column anywhere I want. Lets have a detailed explanation. I'm working with the extended sample available as part of the VM here. So I'm working with real Oracle DB tables in this case. (The following doesn't work well with the XML files of the default Sample). 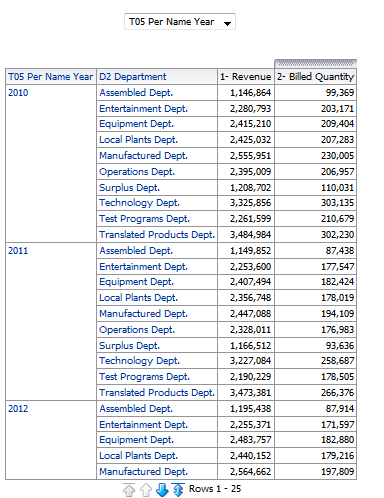 In the Business layer I randomly selected the Time dimension and added a column with '' value. I named it None. As a next step I created a new Presentation Table under the Sample Sales and named the table None, then dragged the none column under it. In a similar way, the right one is correct as well, with no unnecessary joins to date dimension. Next step, as administrator I will create an Analysis with the None column and select it's Column Properties. In Column Format I'll select "Hide". That's all. 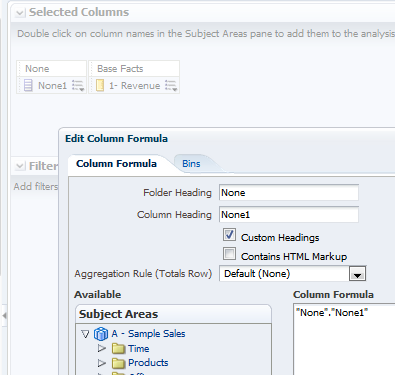 Now I can use the None column in any other analysis as Column Selector, described in the first post, or as Presentation variable, described in second and third. With one critical difference, the hiding will be done at the repository (presentation level) and not UI, as solutions 1. 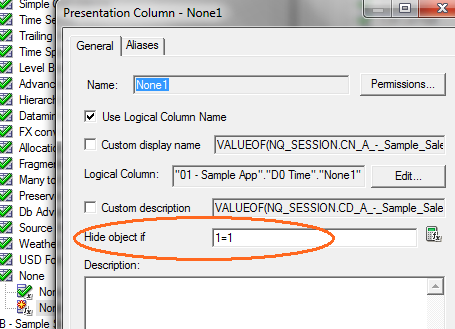 At the presentation level I will go to the None properties and set the "Hide object if "condition to 1=1. This way the column is always hidden. But it doesn't mean it's not there; You just have to know it's name. (Thank You Dov Ziskin, from VisionBI for reminding me the second solution). 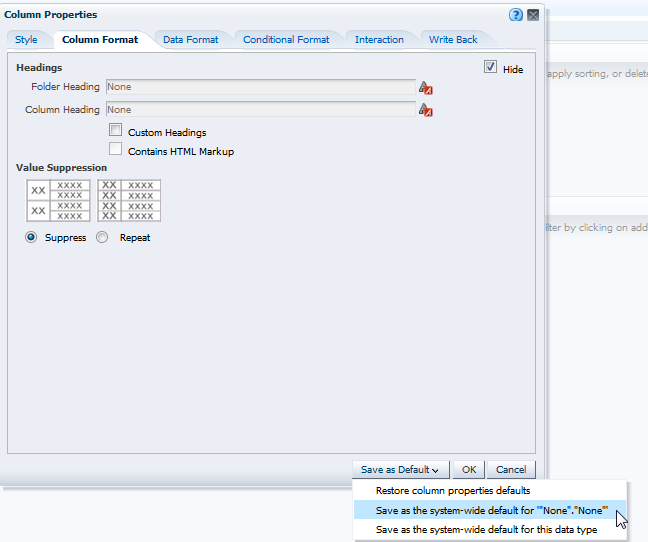 Now we are ready to do some real Dynamic Columns example, in the next post. This solution is similar to solution 2, but you can hide the None 1 column by preventing access to it in the permissions. Just remember to change the parameter PROJECT_INACCESSIBLE_COLUMN_AS_NULL in nqsconfig.ini to Yes, or you will get an Error. Never test the above with administration user like weblogic. Unless you want to spend hours testing it and questioning the idiot who wrote the above. 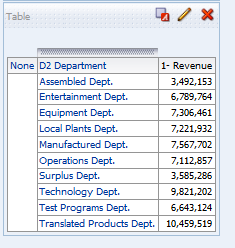 User weblogic can see everything, including the hidden columns. As per above example this column should hide but in my case no luck. I have to select multiple columns dynamically and display value of those columns. Could you please help me out with this? Thanks in advance. 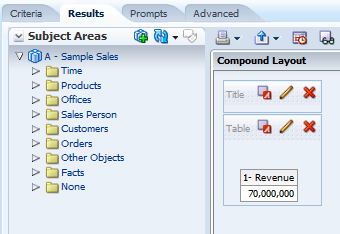 Alex,use solution 2 above, when the column none is always hidden. Then you don't need such case statements. Solution 2 doesn't seem work for me either. 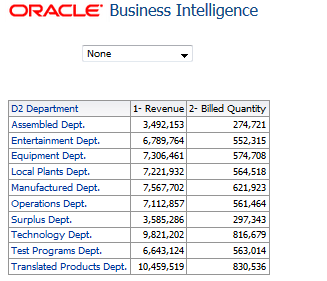 I use obiee 11.1.1.9. 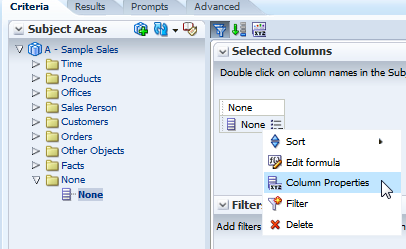 The None column is hidden on the SA as a column, but when put it on a report, the column always shows... Is there any configuration regarding this??? Are you Weblogic user or any other type of bi-administrator? Solution 2 does not seem working in OBIEE 111.1.9 for me as well. i tried both administrator and non administrator user. Solution 1 and Solution 2 not working for me as well. It always shows up int report .Hidden column shows values.